The dogs and cats on this page are some which we feel we are unable to rehome directly to the public for various reasons. It may be that they display health issues that we are not able to help with or behaviour issues that require further training from more qualified professionals. They may also be pets that have been placed in homes by ourselves and have since displayed characteristics that mean we cannot place them in private homes again. It is important to stress that these animals are not at risk whilst with us and will remain so until we are happy that they will be going somewhere more suitable. If you run, or work for a recognised rescue group and feel you can help then please get in touch by phone (01942 671215) or email (ldandch@live.co.uk) Please note, that by enquiring you consent to us researching your organisation for our own edification, prior to releasing any animal. 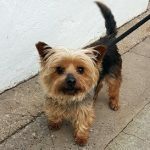 PLACED WITH SILVER FOX RESCUE 29/3/18 ‘Harvey’ 12 year old Yorkshire Terrier. Harvey was originally looking for a home as his owner passed away. He has been adopted but had to be returned as he became dominant and snappy. 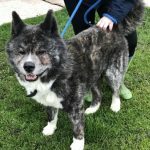 He would benefit from a home with one owner who is familiar with this type of dog and behaviour and ready to deal with this. He will not be rehomed with under 16’s. He was adopted to a single person home and apparently showed dominant aggression in that home also so is now seeking rescue. He has been well behaved with all the staff here. 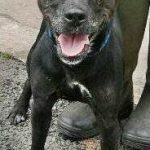 PLACED WITH RESCUE REMEDIES 2/4/18 ‘Tess’ 7 year old Female Patterdale Type. Originally a stray history/habits unknown. Tess maybe a little bit older but she is still full of life. She still has a lot of energy and loves to play. Tess has been to a home but had to be returned after several weeks as she suddenly took a dislike to one of the other dogs in the home and they had a fight. She appears to have had some training and performs basic commands and is clean in the house when settled. She is now seeking rescue as she was returned to us a second time, it was reported she had bitten so cannot be privately homed by us. She has been good natured with staff whilst in our care. 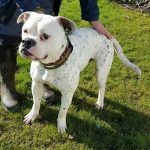 PLACED WITH DORIS BANHAM DOG RESCUE 4/4/18 ‘Asbo’ 4 year old Male American Bulldog. Was a stray so his history is unknown. Asbo has been castrated. 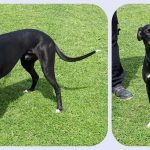 He is a little nervous so really needs an experienced owner – he seems to prefer Men to Women although he can be unpredictable with either in his kennel. 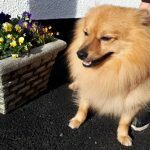 PLACED WITH ALTERNATIVE ANIMAL SANCTUARY 21/4/18 ‘Frankie’ 3 year old male Pomeranian. Frankie has been adopted but returned for biting. We have not had any occurrence of biting during his time with us. 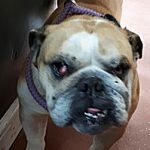 PLACED WITH BULLDOG RESCUE & REHOMING TRUST 24/4/18 St Helens area – 03787 This girl is about 4 or 5 years old and has a few health issues. She has a cherry eye, her breathing is difficult and she struggles to do a lot. Other than this she has clearly had ear problems and has a small warty lump on her back. 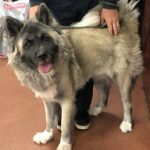 She is very good natured and needs somewhere and someone with knowledge of the breed to recuperate fully. 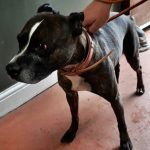 PLACED IN A FOSTER HOME THROUGH LAST CHANCE HOTEL St Helens Area 03808 This boy has a few health issues, Small tumor back end, has clearly had ear issues in the past. Lovely friendly dog. 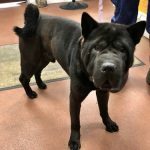 PLACED IN A FOSTER HOME 18/05/2018 St Helens Area 03805 ‘Drake’ He was apparently aggressive (details not known) but we have found him to be well behaved with staff members here. 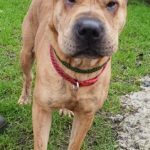 Because of his background we feel unable to home him privately and would like an experienced rescue to take him on and assess him thoroughly. PLACED WITH DORIS BANHAM 7/6/18 ‘Frank’ 3 year old Staffordshire Bull Terrier. Frank didn’t settle in his new home as he appears to suffer separation anxiety and was being left for long periods. Because of this he has not been fully housetrained. He can’t be placed with other dogs or children. 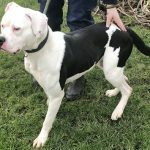 PLACED WITH DORIS BANHAM 19/06/2018 ‘Kayra’ 2 year old Female American Bulldog. Originally a stray history/habits unknown. 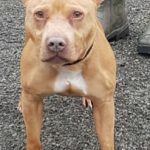 Kayra is very wary of new people once she has gained your trust she is fine, for this reason she will not be rehomed with children under 16 years. She has been food protective so she does need to be handled with care. She’ll need an experienced owner who has the time to work with her. As her food orientated aggression has progressed we feel we can not rehome her now. 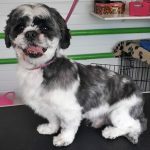 PLACED WITH DORIS BANHAM 19/06/2018 ‘Teddy’ 2 year old Male Shih Tzu. Come into us as landlord won’t allow pets. 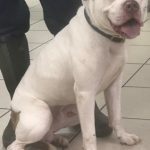 Will not be rehome with children has been quite snappy at times with us, we appreciate this is more thank likely due to the fact he is in a strange environment with people he is unfamiliar with, but this behaviour can also not be ignored. Since his arrival Teddy has bitten someone and will now be looking for a rescue place. 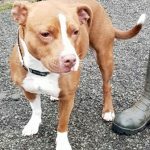 PLACED WITH DORIS BANHAM RESCUE 5/7/18 ‘Missy’ 3 year old Staffordshire Bull Terrier type. Missy has been rehomed but has had to be returned as she was biting. Despite being well behaved with staff we could not take the risk of placing her in another private home. 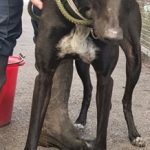 GONE TO RESCUE ‘Milo’ 5 year old Male Greyhound/Lurcher. Milo was adopted from the Home but unfortunately came back to us as he was nipping people. We have not seen this behaviour here but because of this new information we will not be able to rehome him with children. 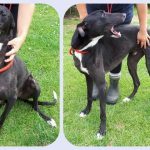 GONE TO RESCUE ‘Robbie’ approximately 4 year old Male Greyhound/Lurcher. Robbie came to us as a stray so unfortunately his background is unknown. Robbie is a placid boy who walks pretty well on a lead. He is generally calm and seems to have a nice temperament towards people. Not suitable around other animals at all. Does not like to be left at all will need someone with him all the time. 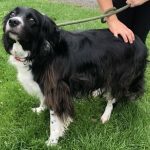 GONE TO RESCUE (FREEDOM OF SPIRIT) ‘Ben’ 6 year old Male Collie Cross. Ben came into us due to his owners ill health which meant they were no longer able to look after him. He was adopted but had to be returned as the lady found him quite boisterous when he settled. He is quite a nervous dog with new people so will not be rehomed with children under 14 years. 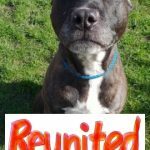 REUNITED WITH HER ORIGINAL OWNER ‘Cass’ 10 year old neutered female Staffordshire Bull Terrier cross. Cass was a stray so her background is unknown. She is a friendly girl and seems dog friendly as well. 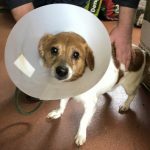 She has a couple of age-related issues – there is some clouding to her eyes but she still sees well, and she has a few small lumps under her skin but the vet has advised that removal is not currently required. PLACED IN FOSTER WITH JLP TRUST Buster. 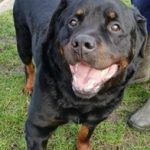 10 year old Male Rottweiler. 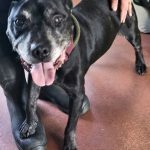 Buster is looking for a home as his owner sadly passed away, He is fully vaccinated and castrated and despite his senior years is in good health.